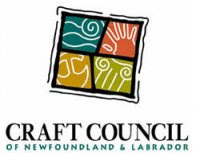 It's less than one month until the Craft Council Craft Fair, and I feel a bit like a wind-up toy. The anticipation of a great fair is so dependent upon my stamina right now to keep making jewellery, more and more jewellery. I've focused lately on the repetitive things, have done much filing, bent many, many shepherd hooks, polished, and polished again. I still have the daunting task of packaging these things, but for now, have left that for a later date. Now I'm moving on to the higher end, unique items. Much more stimulating creatively. But slower to make in many ways. Mostly in the design process. I've learned from experience that even if I can clearly see the finished piece in my mind, I need to pause, and rethink, consider carefully the process, to ensure I don't get ahead of myself and find I'm one step beyond something I wanted to do. Jewellery is so sensitive to the "order of operations", as it were, and once you've gone too far, there's often no way to economically retrace your steps. I like this aspect of jewellery fabrication, because I am, by nature, a very methodical person when I tackle a task. I have many unused cabochons in jasper and agate that I hope to set in jewellery before the fair, also some gorgeous cabochons made by Alexis Templeton that I'm focusing on using right now, both for the fair as well as potential submissions for the upcoming exhibit Comfort and Joy. I finished up a pair of earrings today that were barely started during my time at Haliburton School of The Arts, of fish with fire citrine in their mouths. I'd finished one earring some time ago, but then broke the second gem when I was setting it. Aargh! Now I know to order more than two gems, just in case! I'm also planning to sell a men's ring at the Craft Fair, but I'm unsure about the surface finish. Which would appeal more to man in a ring like this, a mirror finish or a matte brushed finish, I wonder? Both are pictured here. This is substantial ring, and although I prefer the high polish, I wonder if it's "too much" on something like this! I welcome your thoughts. So my time is pleasantly busy right now! I do believe when someone finally lets go of the winder on that toy, hopefully not before early November, that I'll be ready to trade many fine jewels for that fine green (and pink and brown) paper that makes the world go round!